Today, Tuesday 17 April, the Guardian published an editorial piece on SATs and the boycott proposed by the campaign group, Let Kids Be Kids. The campaign was reported on exclusively by The Independent last week. Today’s Guardian editorial piece asks: who can blame parents for boycotting SATs? 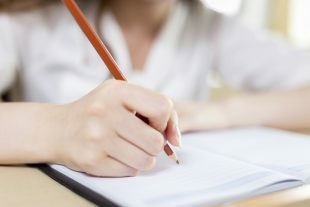 and while it does acknowledge that SATs can help secondary schools accurately assess a child’s ability and track performance of disadvantaged students, the article calls on Ministers to look at alternative ways of testing, for example ‘sample’ tests given to a smaller group of selected children across the country. We are clear that assessments at primary school are a crucial part of a child’s education and help teachers and parents to understand where they may need additional support. The Government has funded a number of pilots – in primary and secondary schools – to develop practice and evidence about what works in promoting good mental wellbeing, and developing joint working with specialist mental health services. The Government has pledged £1.7 billion to help promote, protect and improve children and young people’s mental health and wellbeing, including £300m outlined in the children and young people’s mental health green paper which amongst other proposals, commits the Government to training every primary school during this Parliament on Mental Health First Aid. Thanks to our reforms and the hard work of teachers, 1.9 million more children are in good and outstanding schools than in 2010. The key stage 2 tests are vital in helping to ensure children are learning to read, write and add up well, which lays the foundations for success at secondary school and beyond. We trust schools not to put undue pressure on pupils when administering these assessments, and certainly not at the expense of their wellbeing.